The Burnside T357 entry level Fixed Cellular Terminal (FCT) provides instant access to voice and data communications in any location within the worldwide GSM cellular wireless network, without the delay and expense associated with connection to landline networks. Any standard mobile SIM is all that is required for connection to the GSM network. Low cost, superior voice quality, compact size and extremely low power consumption make the T355 an ideal choice for the Telco and mobile network operator. 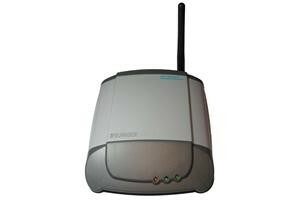 All models have a USB data interface for Internet access, e-mail and PC fax. The unit's firmware can also be updated easily via the USB connection. An internal lithium polymer battery provides uninterruptible service in the event of mains power failure. These FCTs can be free standing or wall-mounted and can be secured by a cable lock to prevent theft. Unlike handheld mobile phones, the T357 provides an easier to use, shareable and permanent resource.